After 30 years in doldrums, the new Warri-Itakpe Standard Gauge rail has been completed and would begin commercial operation on Monday, Nov. 19. 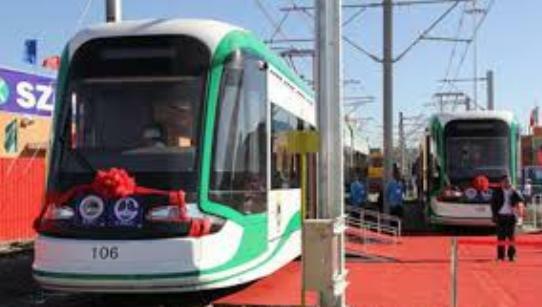 Mr Niyi Alli, Director, Operations of the Nigerian Railway Corporation (NRC) said in Lagos that the present administration of President Muhammadu Buhari has endeavoured to complete the project. He confirmed that the train service has been put on test-run, carrying passengers free of charge. “The Warri-Itakpe, as we all know, the project has been ongoing for a while. “This administration has endeavoured to complete it and we’ve commenced trial runs since then. “We intend to commence trial commercial operation without charging people between Warri and Itakpe. “In the middle of November, we have a target of 19th of November and we are working very seriously to achieve that date. “It’s going to open up new parts of the country to the railway system, especially areas that have never had train services before in Nigeria. “So I’m very excited about that and the people around there, are very excited; we are getting a lot of cooperation from the local indigenes from that network area. “It’s something I’m personally proud of; people are going to see railway again, they’ve seen our service on the Abuja-Kaduna. “We are going to run a very reliable service, very punctual service and a very safe service,’’ Alli said. The 327 kilometres-Warri-Itakpe rail line runs from Warri in Delta, through Edo and Ajaokuta and terminate at Itakpe in Kogi in Kogi. It was conceived more than 30 years ago to connect Nigeria’s Iron Ore Mining and Steel Production belt (Iron Ore Mining Company in Itakpe, Ajaokuta Steel Company, and Delta Steel Company in Aladja, Warri).